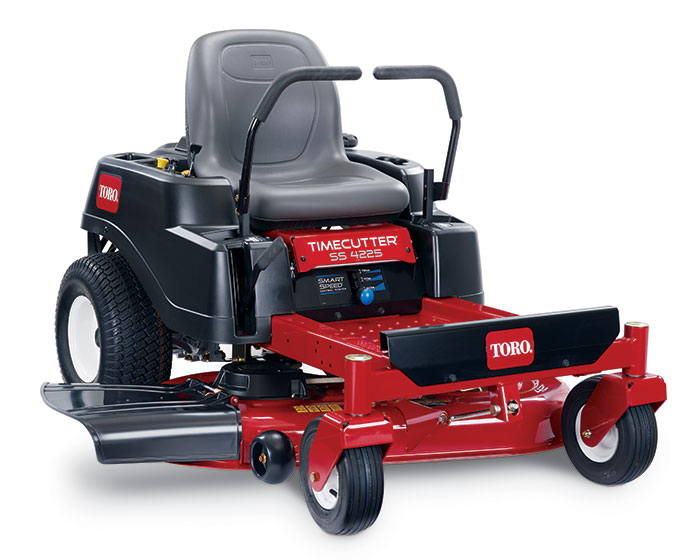 Toro TimeCutter SS Series SS4225 Zero Turn Rider 74726 features a 42-inch mowing deck, 22.5 hp 752 cc Toro V-Twin engine, and Smart Speed Control which allows you to choose from 3 ground speeds for greater performance and maneuverability. The low trim range trims closer to save you time, the medium tow range tows attachments, and the high mow range mows large open areas in less time. The heavy duty 10 gauge unibody steel frame provides increased balance, the new bagging attachment has 29% better bag fill, and the large 3 gallon fuel tank allows for more mowing and less fill-ups.